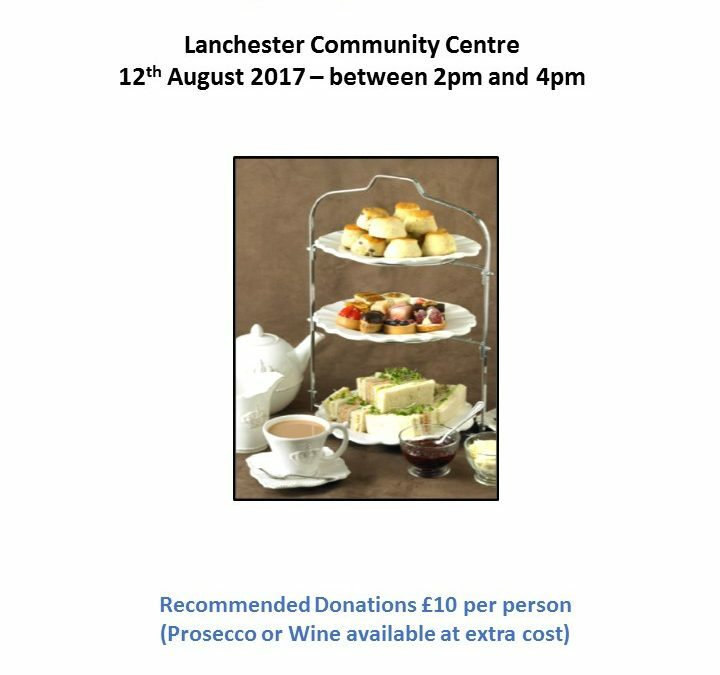 On August 14th we held a Traditional Cream Tea for 40 people at Lanchester Community Centre. Everyone seemed to enjoy themselves and reviews were good so a very big thank you goes to Diane Thomas and Linda Bushell for all of their hard work before, during and after the tea. A total of £771 was raised as a result of the event and we plan on holding another in the not too distant future. Thank you to everyone who took part. Hope to see you next time.